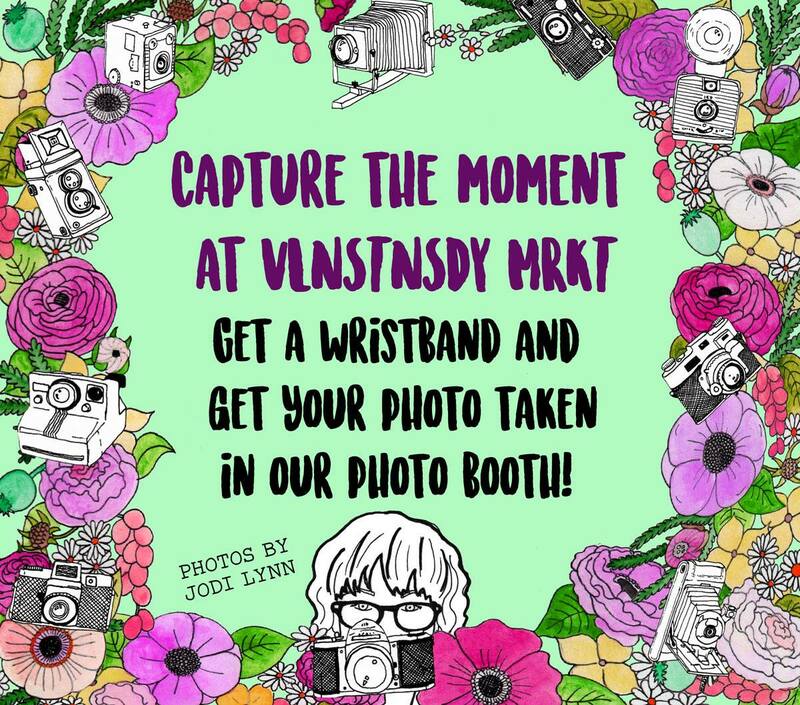 Handmade Detroit | VLNTNSDYMRKT Stations Revealed! Sunday, Feburary 10th let’s continue the LOVE and fellowship with VLNTNSDYMRKT. Join us for a fun day of shopping, sharing, laughing and making! Floral Photo Booth Portraits with Jodi Lynn Doodles! 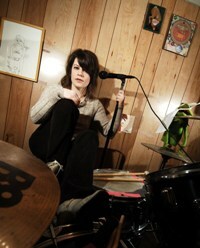 Jodi Lynn has many talents, and she’s sharing her degree with us at VMKT! Step into her floral portrait display and capture the moment! Photos will be uploaded onto the Handmade Detroit Facebook page in an album called VMKT 2019 after the show to download and print. Don’t forget to check out her Doodles while you’re browsing, she’ll also be doubling as a vendor! Felt Fortune Cookies with Small Craft! Step up and join The Cronkite Family in creating this speedy and super cute felt project! Knowing why we are attracted to our lovers can really help us to navigate our romantic relationships. This three-card oracle reading at VLNTNSDYMRKT will show you the strengths of your current relationship + how it’s making you a better person. The cards will allow you to understand the emotional triggers to look out for that could cause disharmony, while also revealing the karmic lessons that you’re learning in this relationship. You’ll have the option of adding on a 30 minute more in depth reading by TheMoon Temple Oracles that will be delivered via email post-show. 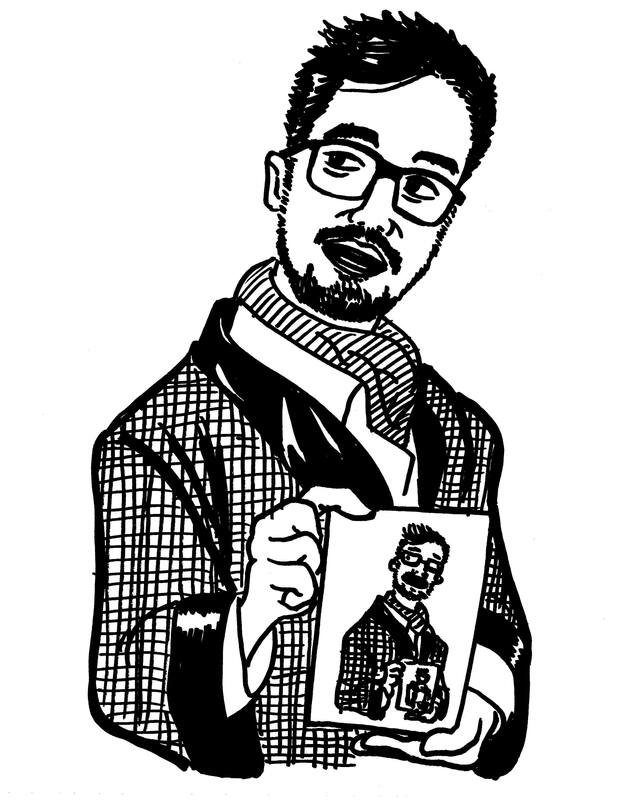 SKETCHES on the SPOT with Aus Ger Co’s Austin Shyu! Sit back and relax while Austin captures you in Pen & Ink, which you can take home with you, free with a Wristband! 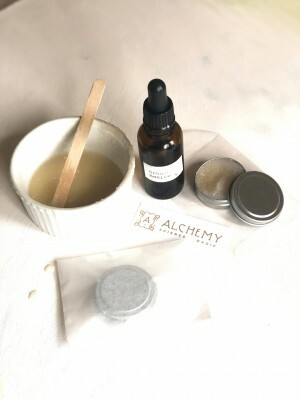 Sugar Kisses lip treat for kissable lips with Alchemy! Customize a nourishing lip scrub. The sugar gently exfoliates and the coconut oil nourishes. Wristbanders get a 12 oz refillable tin plus the recipe included! The POST Detroit sponsored VMKT STAGE, featuring a rotation of three different mini-classes! See the times and descriptions and take note: you must be present and sign up 30 minutes before each ‘class’ on a list for the limited size features. Some standing or sitting room will be allowed. 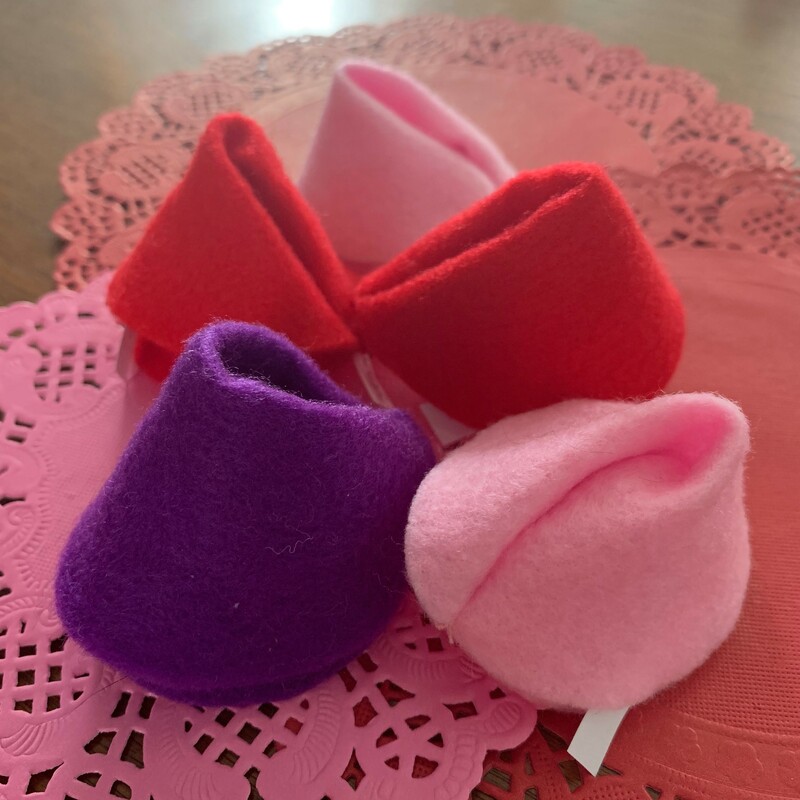 1pm Friendship Bracelets &/or Quick Finger Knitting &/or Hand-Sewn Heart-Shaped Fragrant Sachets filled with rose/lavender with Ashley Welser (Ashwelle Fiber Works) – Ashley has a lot of ideas and supplies for quick make & take projects! Each participant will take home a finished gift(s). 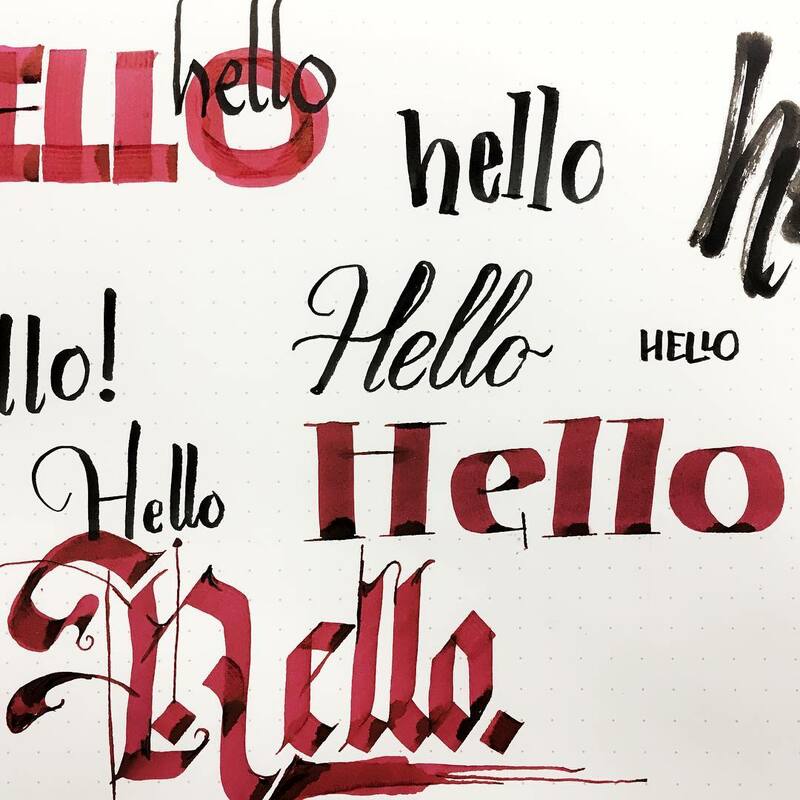 2:30 Love Letter Calligraphy with Patrick Barber – Patrick will teach some basic techniques addressing classic calligraphy forms and modern hand lettering styles. 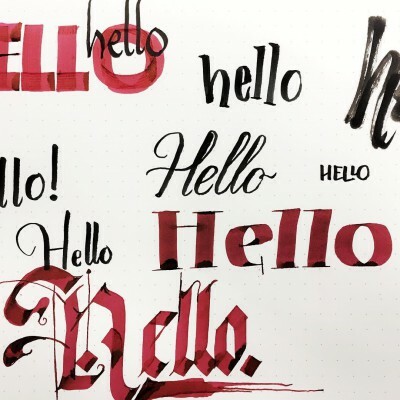 We’ll provide cards, envelopes, scrap paper, roll paper, and a variety of pens, brushes and ink. Each participant will take home practice sheets and some cards/love letters. 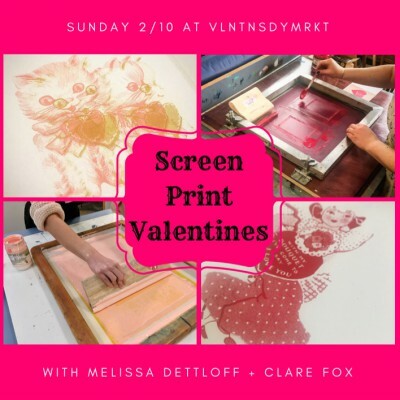 4pm Valentine Screen Printing with Melissa Dettloff & Clare Fox – we will bring a few screens with pre-burned graphics and messages, an array of ink, squeegees, scrap paper, cards, envelopes, and aprons for all participants. Each participant will take home a unique set of valentine cards. In The LOBBY! February 13th is Galentine’s Day and one woman is hoping to bring more meaning to the celebration and the traditional Valentine’s Day by giving back to strangers. 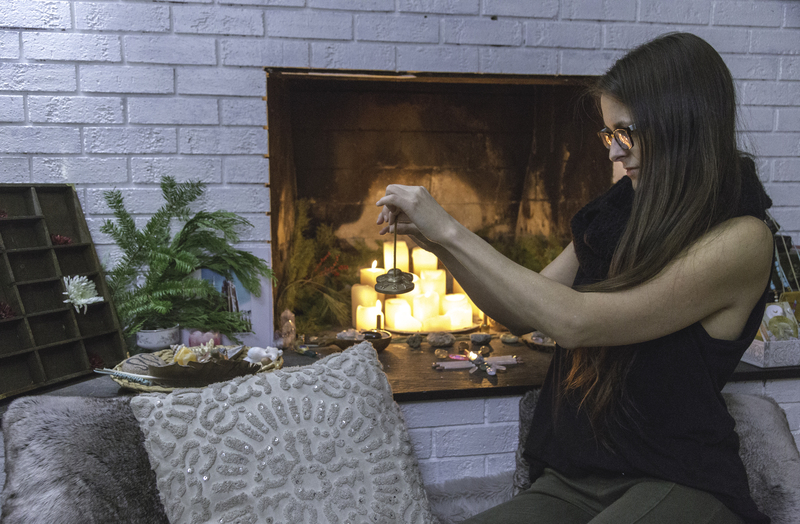 Erika Anderson started the Army of Lovers in 2014, where people host crafting parties or make valentines on their own and hand them out to strangers on streets across America, and even around the globe. Since the movement started they have sent thousands of Valentines all over the world. We love this, and it inspired us to create a Valentine Make in the lobby! We’ll provide all the materials needed to make Valentines for strangers, or you’re welcome to take yours and leave for someone in your neighborhood, on a random windshield or with someone that just needs a lift! Feel free to leave them with us too, and they’ll be distributed throughout Valentine’s week by us. What’s that I hear? DJ Eugene Machine spins records from the intro to the outro. Think of your favorite broken jukebox on autopilot. 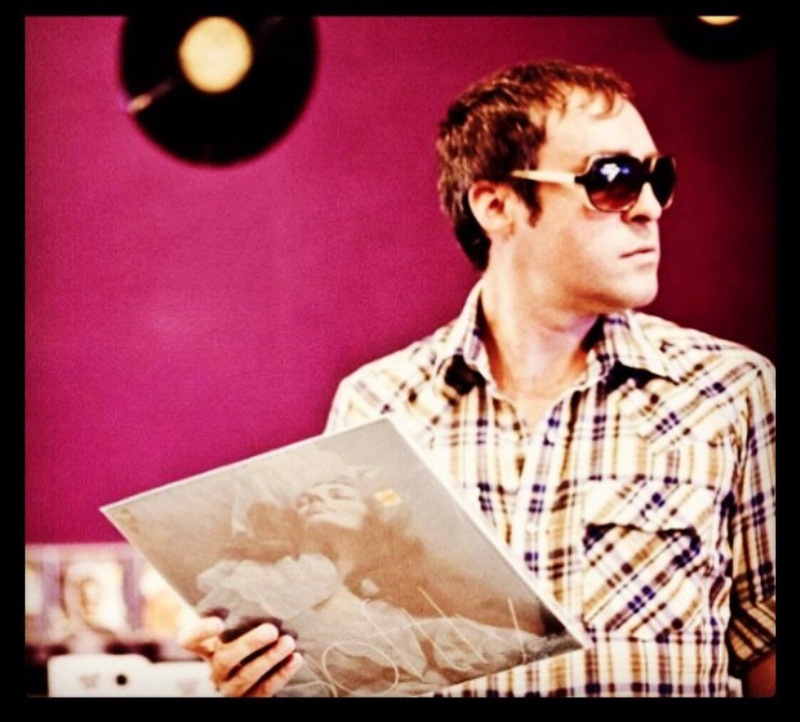 Classic gems, deep-cuts, oldies and goodies and danceable new ones. Gene’s a long-time record collector, and staple in the Detroit music community as a musician, music teacher, event booker and so much more. WAIT there’s MORE!? We’ll have Paper flower-making with Paper Honey Bee, demos with The Frisky Pixie and free-hand glass engraving with Glass Action! All of the stations featured above will have a balloon on site so you can easily make your way through the room and find all the features. And who knows? Maybe other vendors on site will be offering special things from 12-5! We’ll be making announcements throughout the day for the features and the door prizes and we’ll share any additional demos as we’re notified! Have you RSVP’d yet?! Be sure to check out the Facebook Event Invite, and please share with your friends if you’re making a Galentine’s Day out of it! This is the first new show for Handmade Detroit in a loooooong time and we hope to see you all! We’re very much looking forward to joining in on the fun with our incredible crafty community! I can’t find the link to the station assignment link.